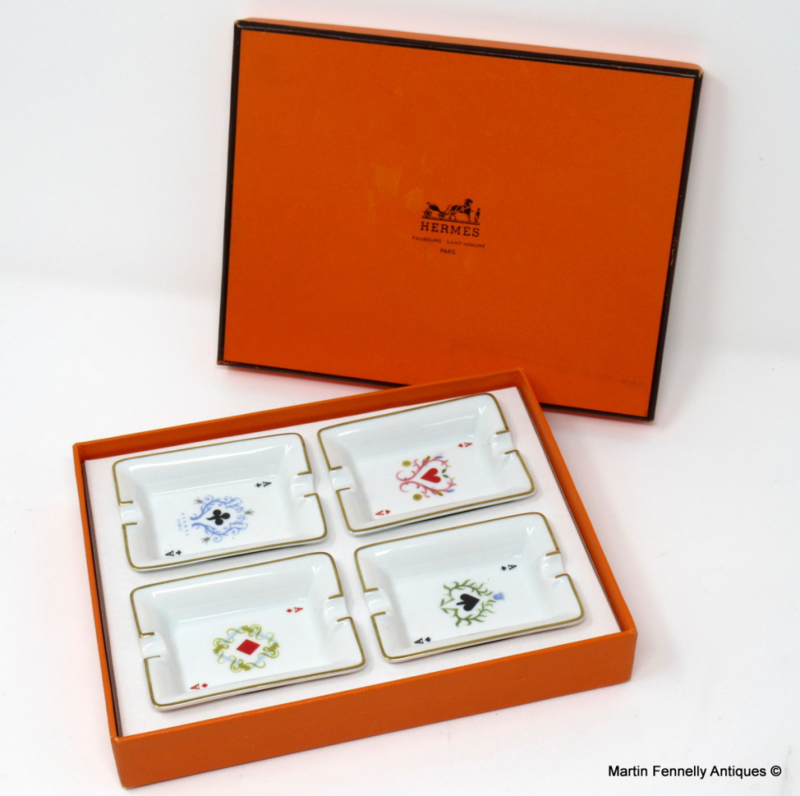 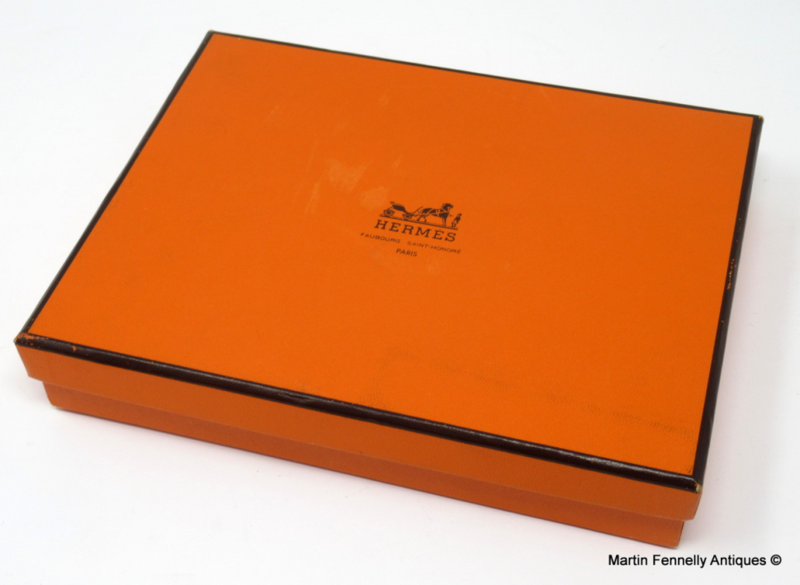 Hermès of Paris - Hermès, a name that is associated with Luxury since 1837 still today is seen as one of the World's most expensive brands and this set of Playing Card themed Ashtrays are rather rare and very collectable. They are still in their original box and were never used. 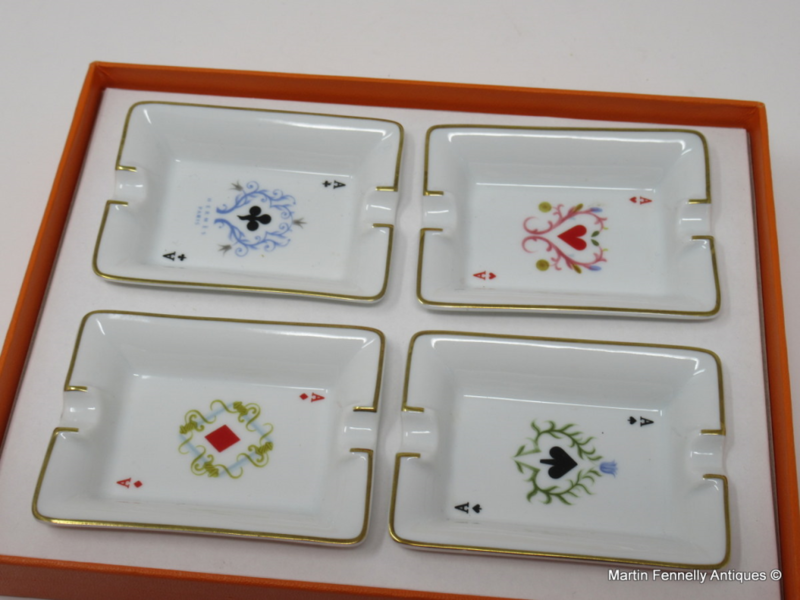 I was fortunate to locate these in London recently together with a large collection of Playing Card themed items all of which were purchased by an avid and wealthy middle eastern resident of London. 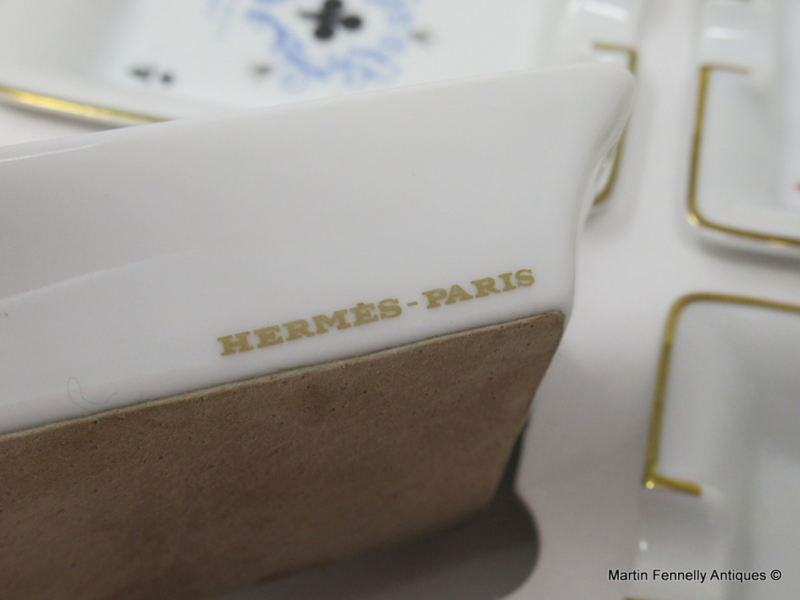 Most of the items were never used. This would make a wonderful gift for that avid Card Player in your life.